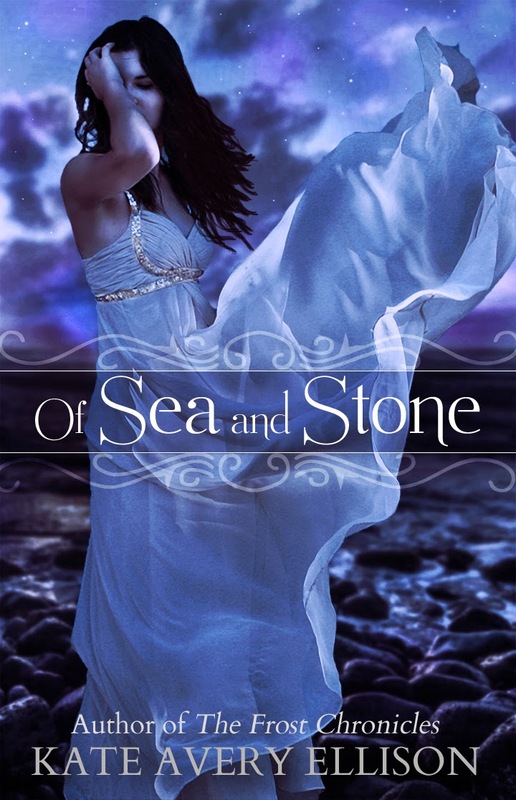 Be sure to add Of Sea and Stone to your Goodreads ‘to read’ shelf! Okay, I’ve kept you waiting long enough. Ready to see the stunning new cover? I hope you like this as much as I do. The super-talented author, Kate Avery Ellison, designed the cover herself! Personally I love the different shades of blue in the sky and sea. The model’s dress is gorgeous and I love the way it’s billowing out in the wind, making her seem fragile against a stormy sea. Her pose is intriguing too-covering her face like that she could be experiencing some intense despair or anguish. Or, with her eyes closed like that, perhaps she’s enjoying a feeling of freedom and powerlessness? The font is nice and simple but ornate enough to work with the rest of the cover.